A project designed to teach children in Northam about their natural surrounds has caught the attention of WA’s science teachers. Avonvale Primary School successfully applied to natural resource group Wheatbelt NRM’s 2011 Community Small Grants scheme. The $15,000 grant meant the school’s science coordinator Velu Ramasamy could organise activities and excursions for all 196 students. 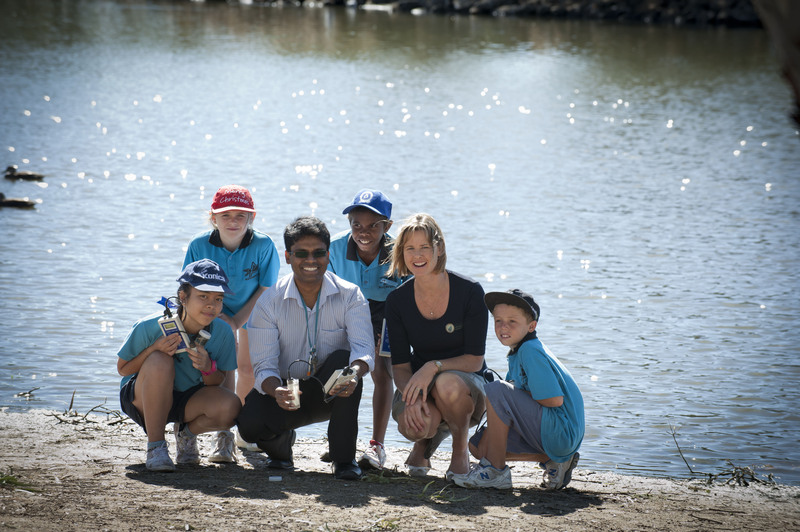 “It gave the children the opportunity to engage, learn and care about the environment,” Velu Ramasamy said. “What was different about this project was, we engaged various organisations in the community to help do that. “We asked the Department of Water to teach us about water testing on the banks of the Avon River. “We visited and learnt about Mt Ommaney, Burlong Pool and part of the Kep track from the Avon Valley Environmental Society. “Many of our children had never been there and were amazed by the range of biodiversity around the town.” In all at least 10 excursions were made by the students, including a trip to Scitech in Perth. The project was so successful Velu Ramasamy was asked to speak at the weekend’s annual Science Teachers Association of WA conference in Perth. “My topic Discovering and Exploring the Avon Valley was of interest because it helped make science and biodiversity relevant, reaching right out into the community.” Wheatbelt NRM’s community small grants officer Kerry Skinner said Avonvale Primary School was one of 14 projects that received a total of nearly $90,000 from the group last year. “We’re now on the hunt for more individuals or groups keen to engage and participate in biodiversity based projects,” Kerry Skinner said. “People now have until the end of March with a total of $100,000 set aside to help achieve a healthier, better protected and well managed Avon River Basin.” Funding for the project is through the Australian government’s Caring for our Country program.